Welcome back, this week we’ve got a new type custom of project that we designed and I think looks great! 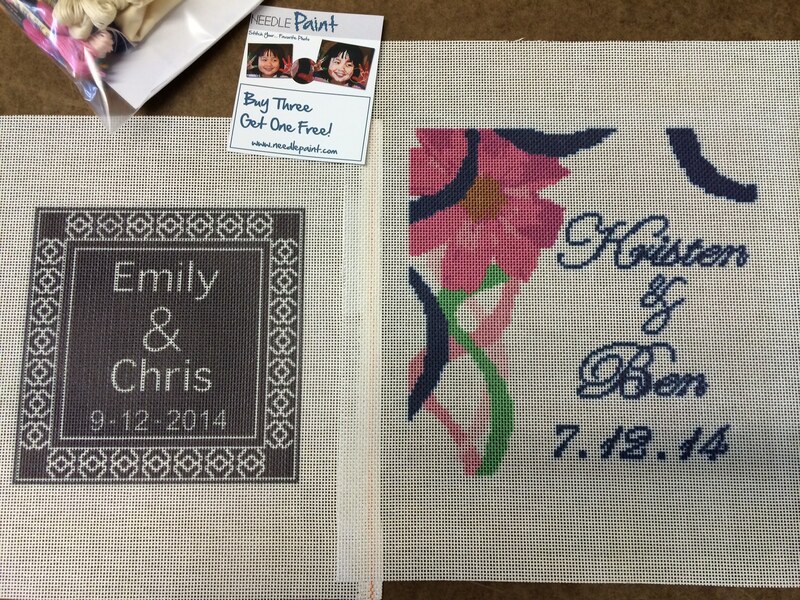 It is a custom needlepoint cummerbund canvas. You can see it in the bottom right corner of the picture below. It measured 15.5 inches wide by 5.5 inches high. I can’t wait to see pictures when it is done! 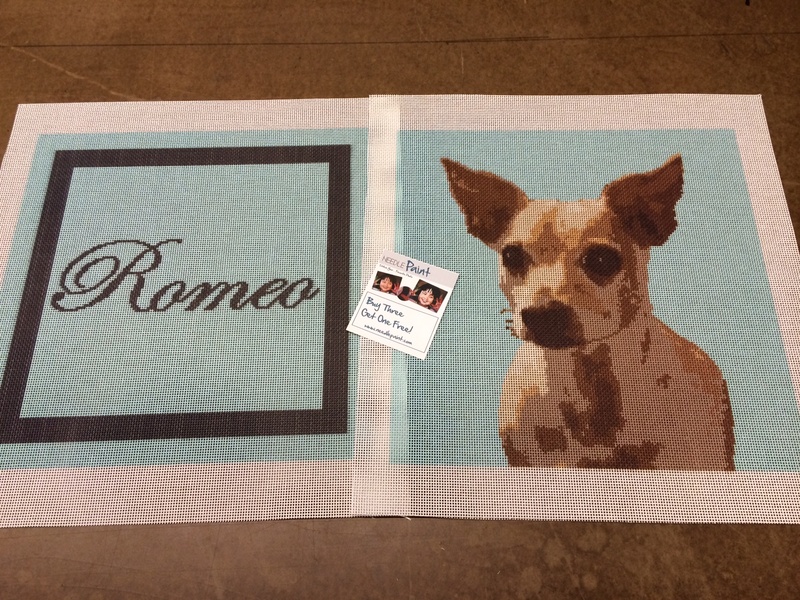 Next is a beautiful Chihuahua that is going to be stitched into a pillow, using needlepoint for the back and the front! Some belt designs just draw you in and and make you say WOW! 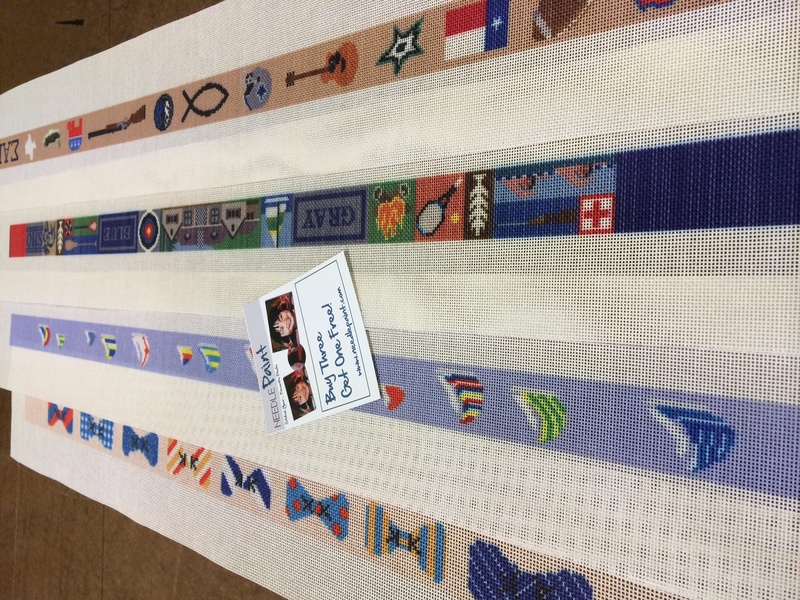 The Notre Dame Campus needlepoint belt and the University of Virginia Academical Village needlepoint belt both do that for me. 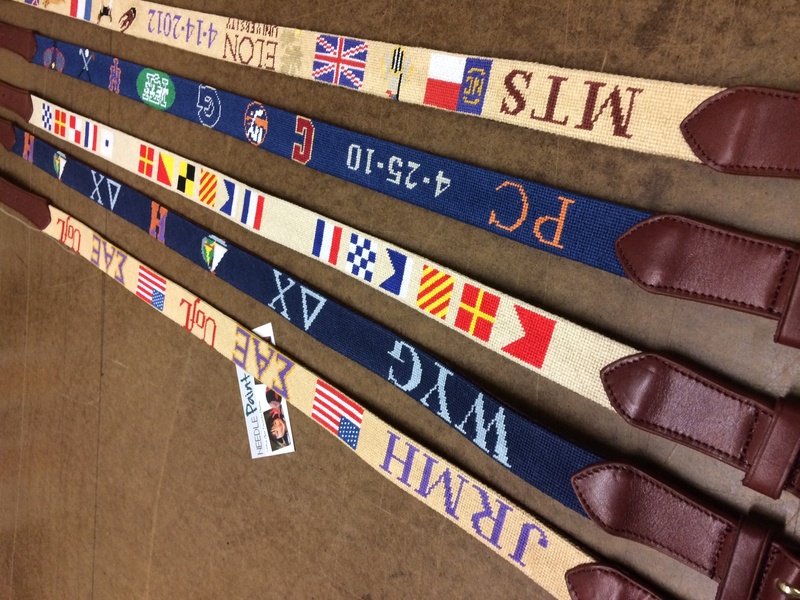 We’ve added both designs to the shop, so if you want a belt that will make other alumni jealous, these will for sure take your college friends’ breath away. 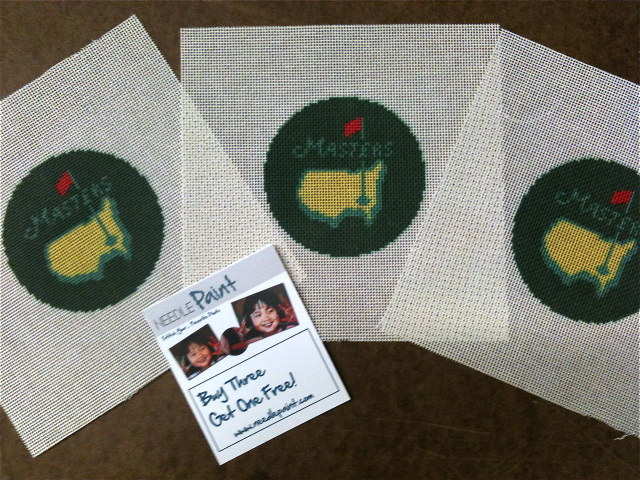 Keep in mind all of our belts are also available as needlepoint kits if you want to stitch them yourself! I’m a bit late with this weeks Friday Favorites, but don’t worry, the eye candy has been photographed and can be viewed below! We got some great reviews from happy customers again this week, so I’m gonna share that here for our new readers, those of you who have worked with us already can scroll down to the pictures. 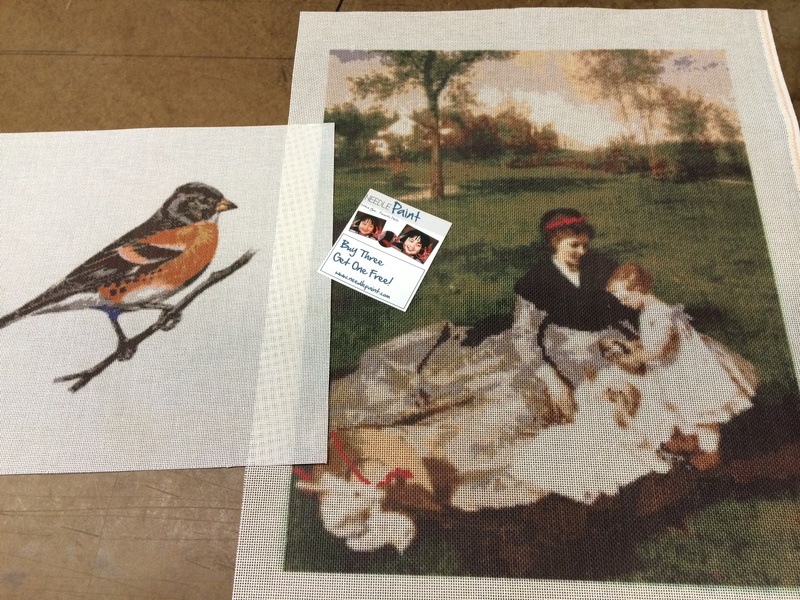 On to the fun stuff, last week’s custom needlepoint projects! 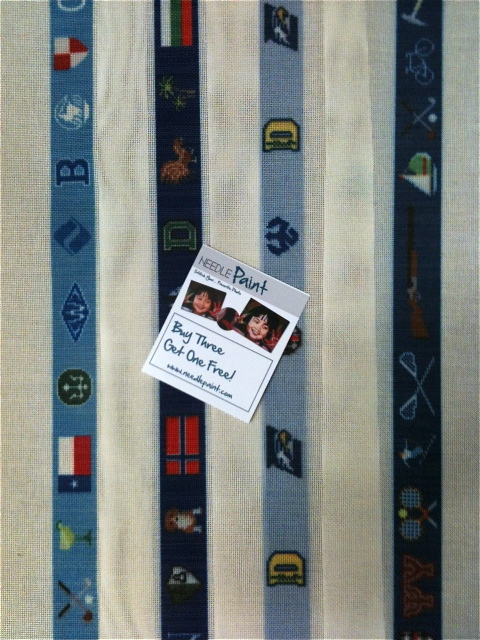 We’ve added some fun new needlepoint canvases to our shop today! 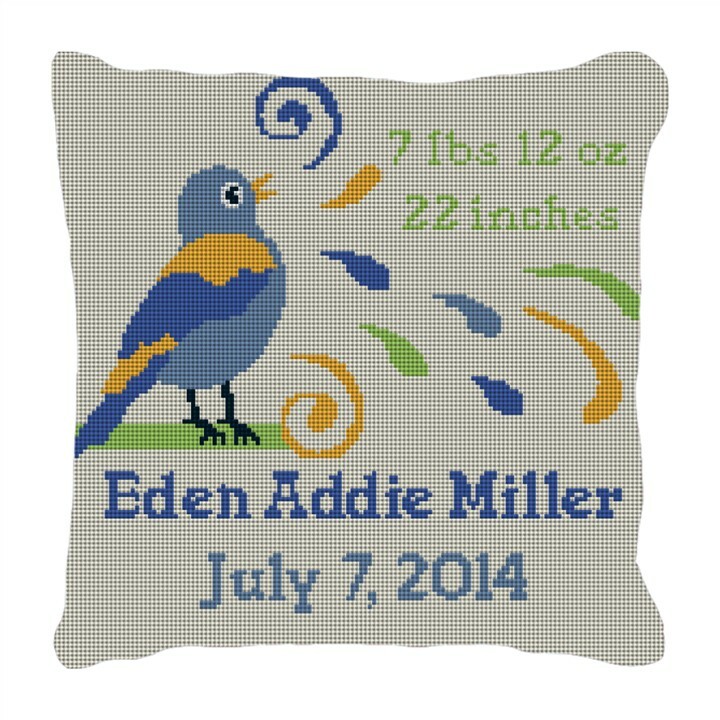 These are all new personalized needlepoint designs. 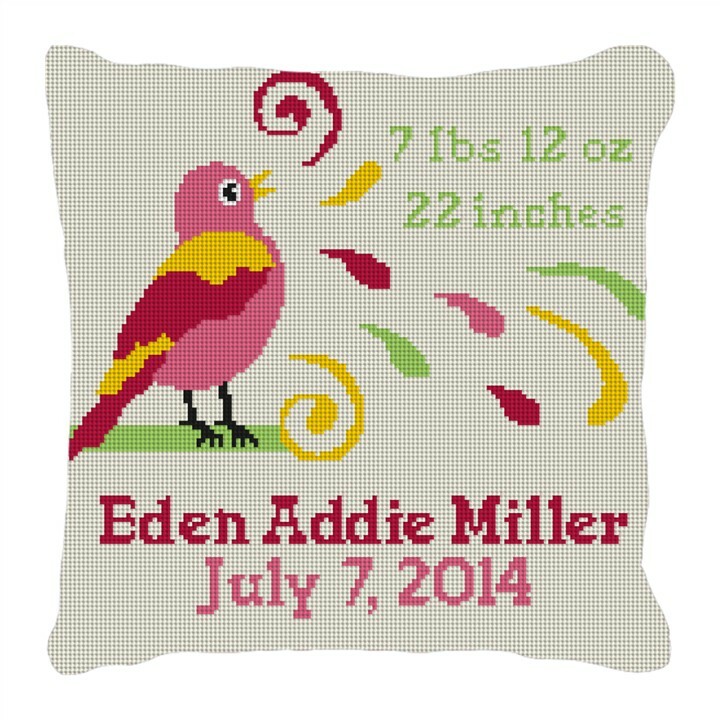 We will add your baby’s name and birth details to your order. Stitch them yourself, or we can do it for you. Also keep in mind that we can adjust the colors to order, and we stock 20 colors of velvet! 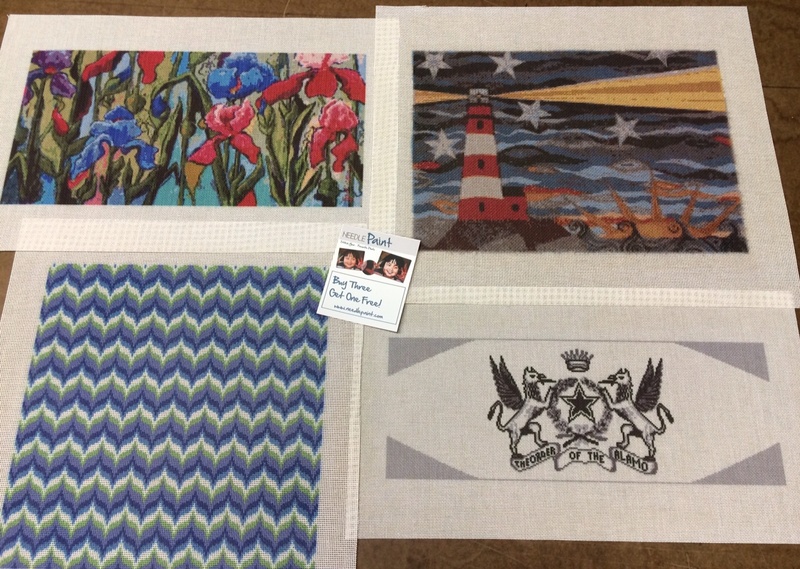 Most of these designs can be stitched and hung on the wall or made into a pillow. 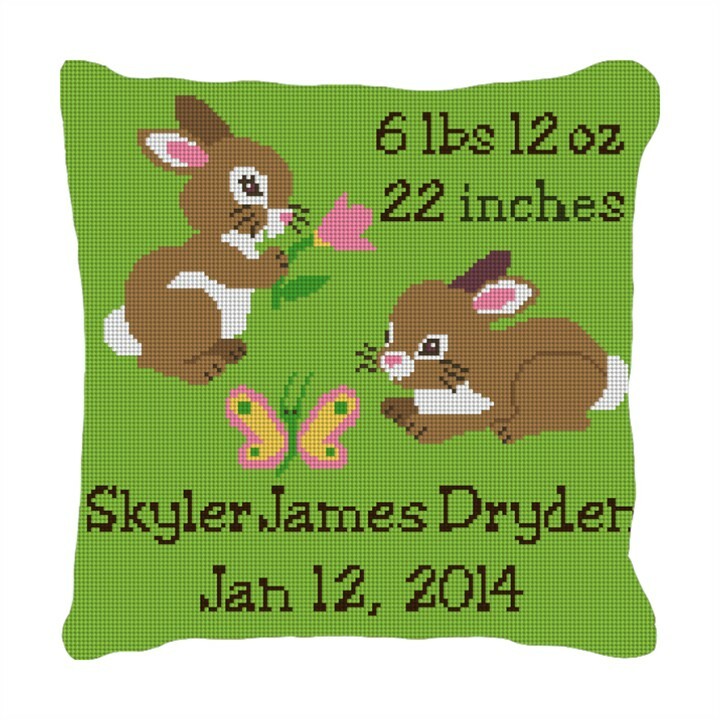 See more of our baby and kids needlepoint products in our shop. 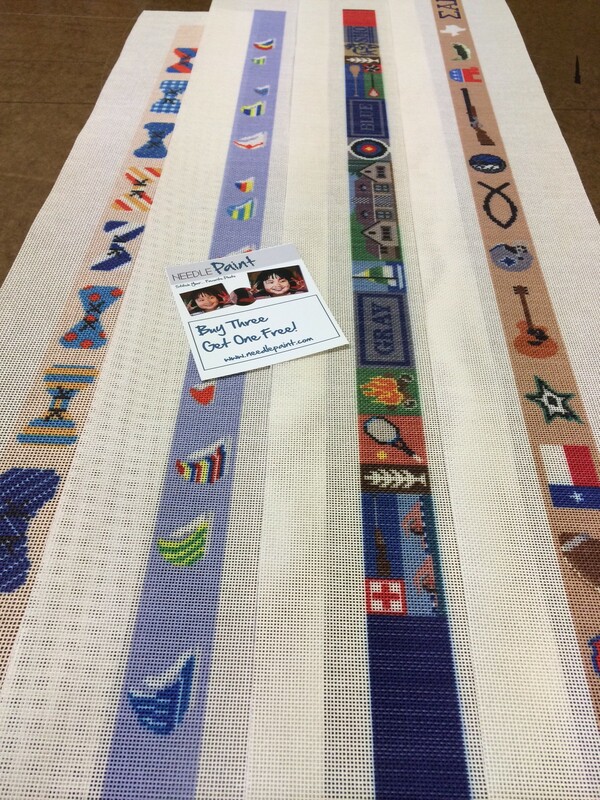 For lacrosse fans and players out there, we have just created a new customizable lacrosse needlepoint belt design! What makes this design great (beyond the the helmets) is that we’re ready to put in your favorite team, background colors, and even number. Typically we will remove the single sticks for the number. Team and colors can be used in the helmets and background color. We can even also add a mascot. This design is also available as a stitch your belt own here. So why not learn to needlepoint! 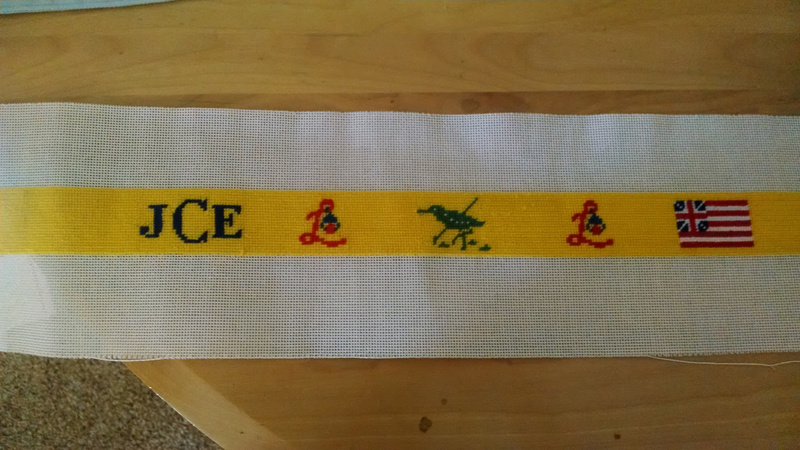 Needlepoint Belts are great beginner projects. 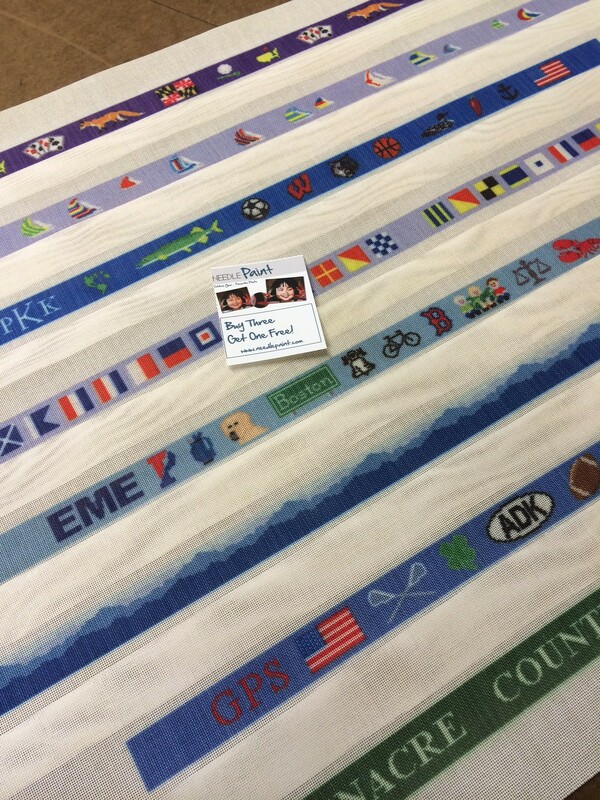 Are you looking for that perfect summer time needlepoint belt or gift idea? 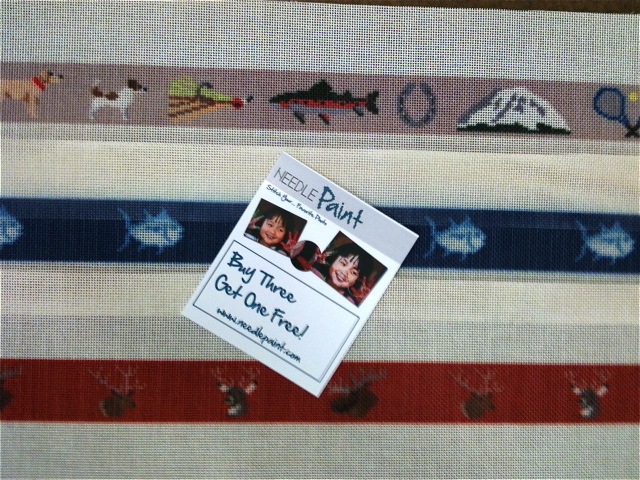 I think I have a new favorite this week, it is our classic lobster needlepoint belt. 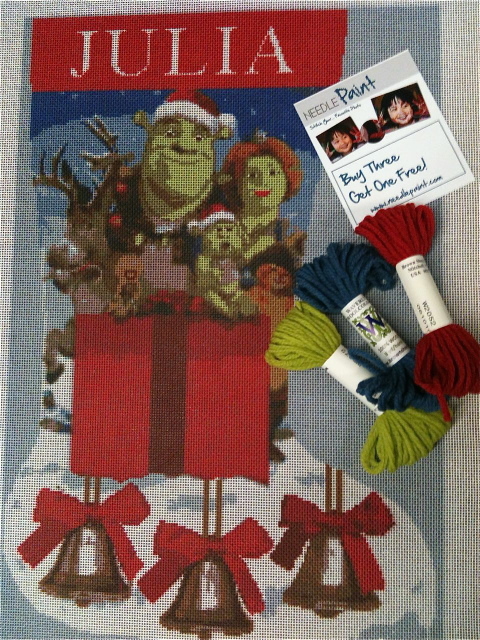 This design is available as a finished belt, or as a DIY stitch your own needlepoint kit. 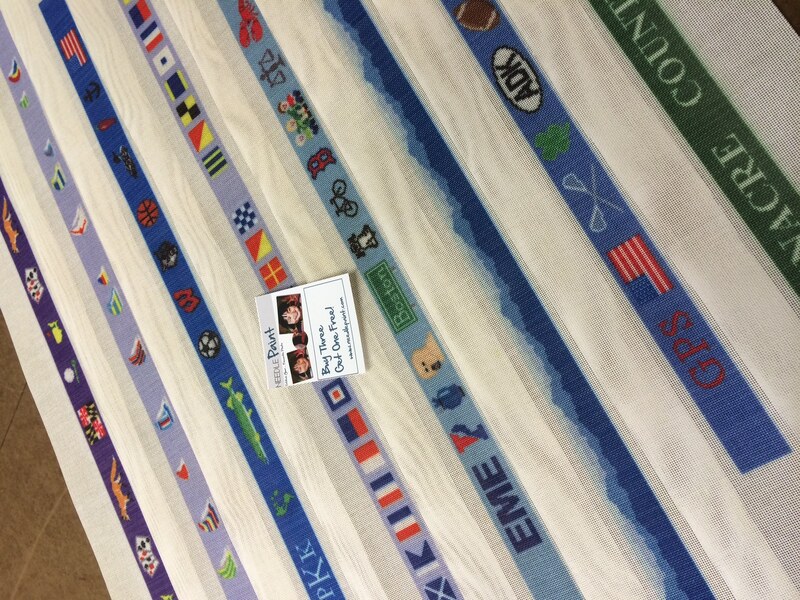 Friday Favorites – Custom Needlepoint Belts and Personalized Needlepoint Kits! This week we have some great eye candy! 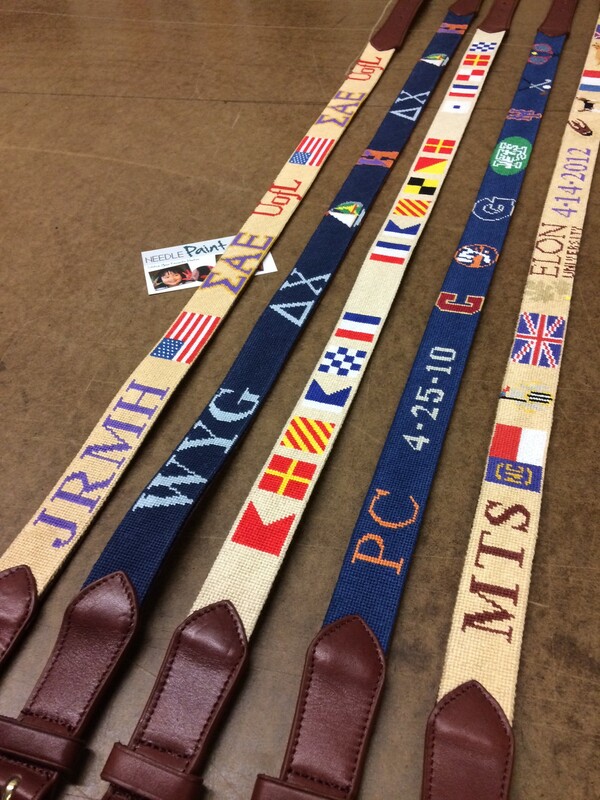 Starting with some custom needlepoint belts that we finished. I’m really happy with how they turned out, I love the dogs and the horses! 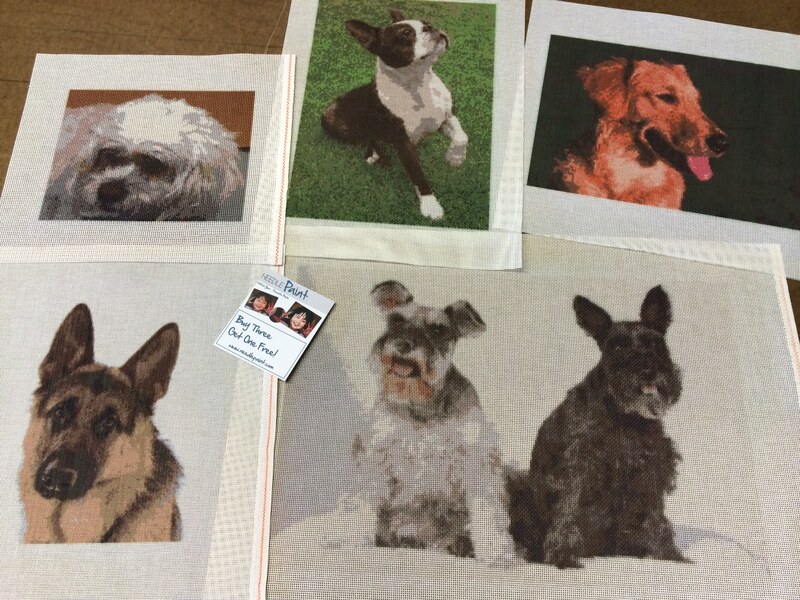 More eye candy for belt lovers, these are unfinished needlepoint canvases for those like us who love to needlepoint! 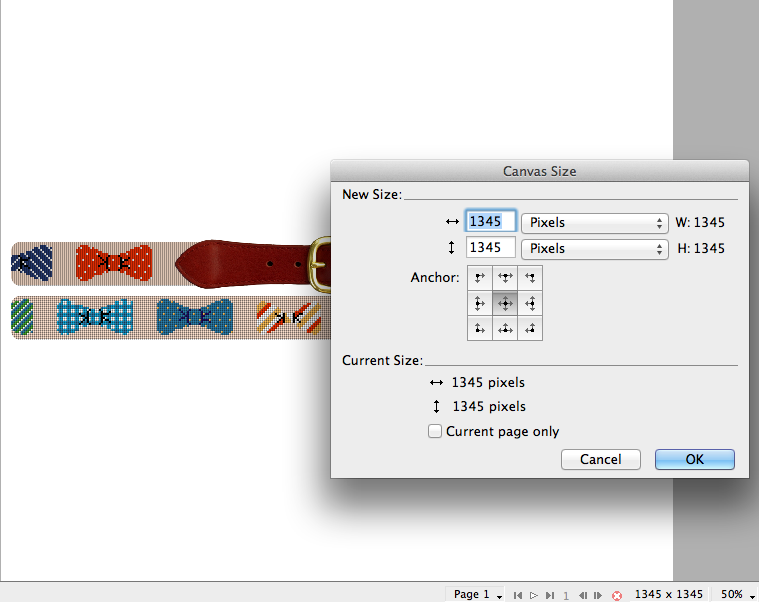 Note the regatta belt design and the bow tie belt. 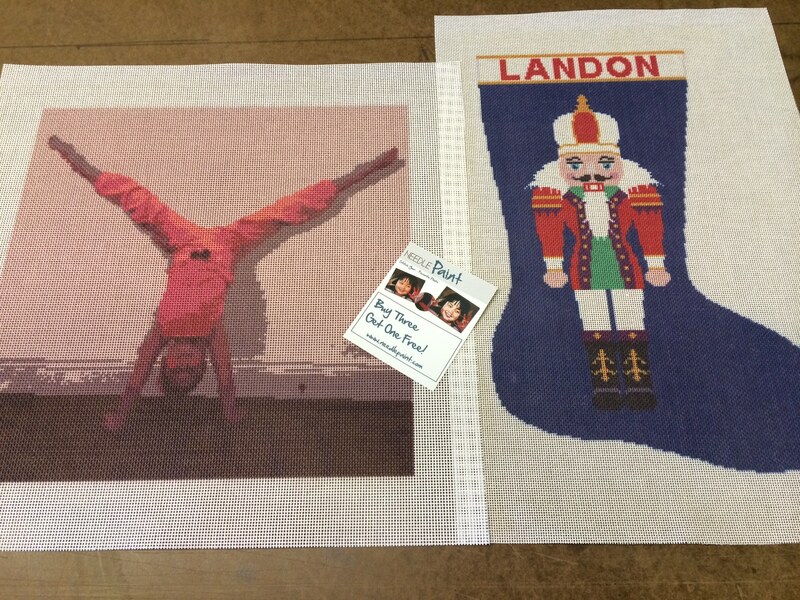 Last but not least are some really impressive needlepoint projects that I can’t wait to see stitched! 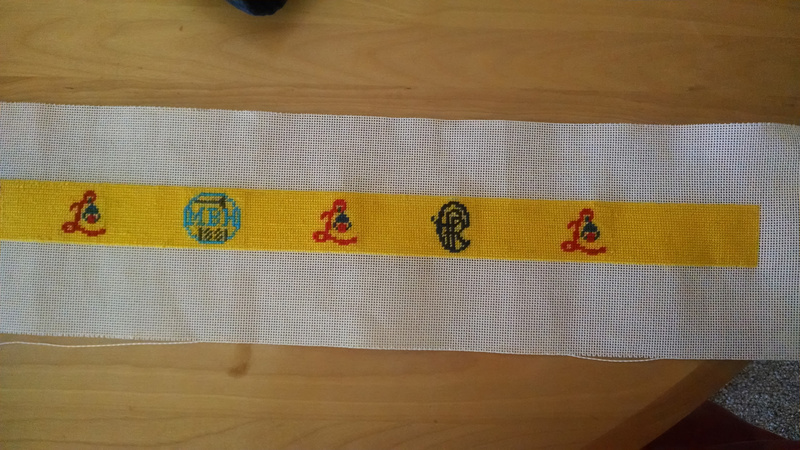 Last but not least, a needlepoint belt that is stitched but not put on leather yet. Nice and strait! 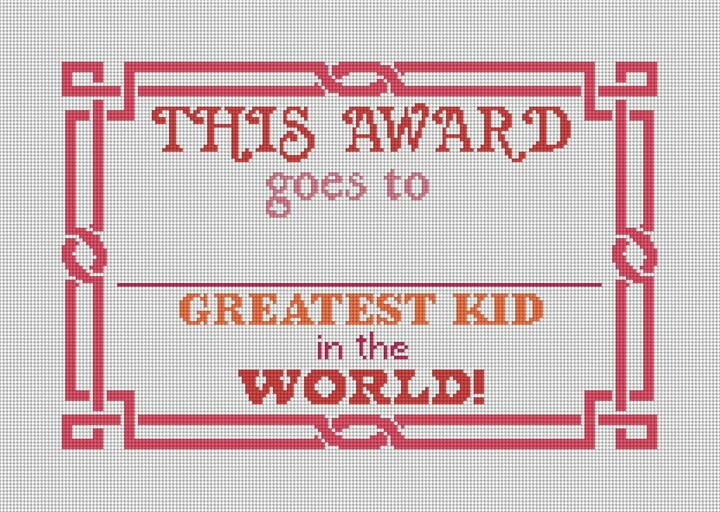 Great stitching Andrew! 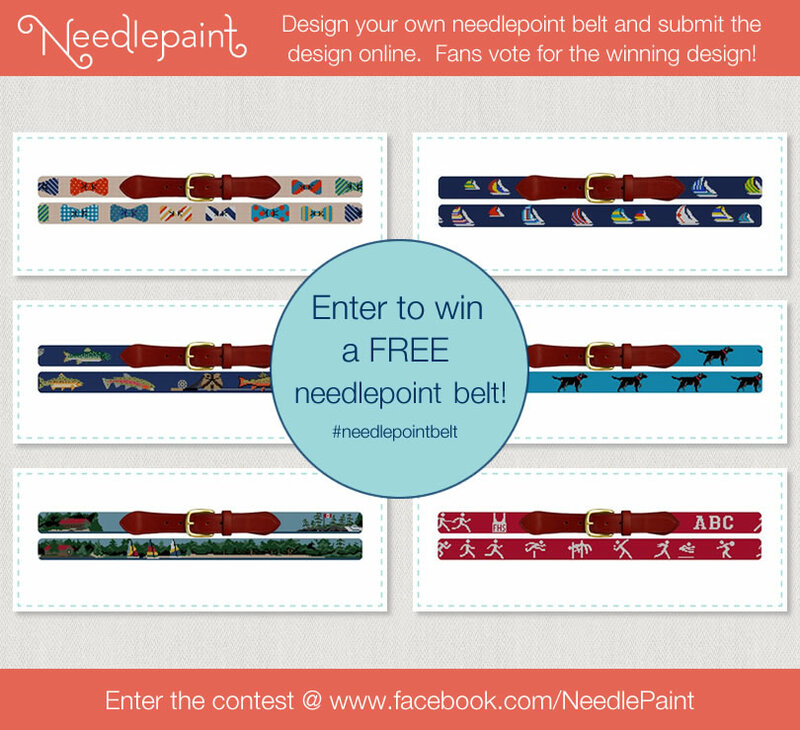 Design a Belt to Enter to Win our Needlepoint Belt Design Contest! 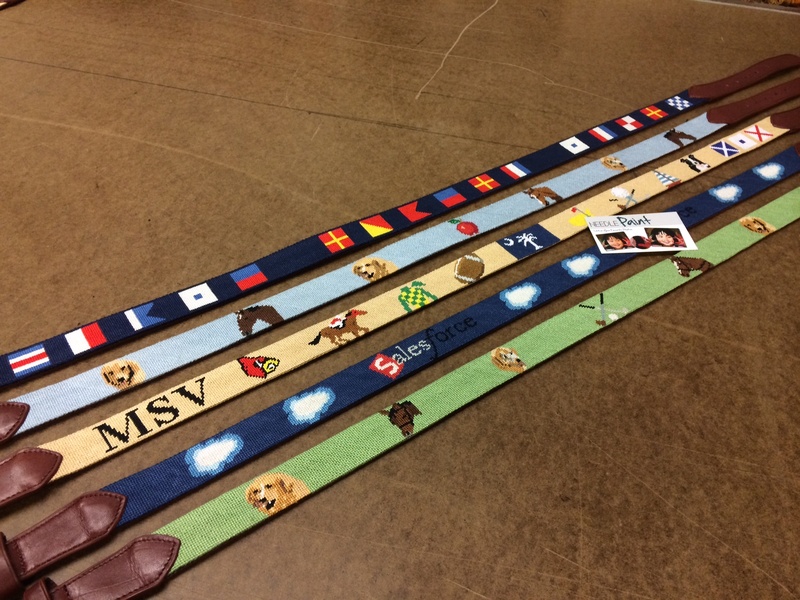 We have created quite a few really great needlepoint belt designs, but we’re more excited to get our customers designing them! 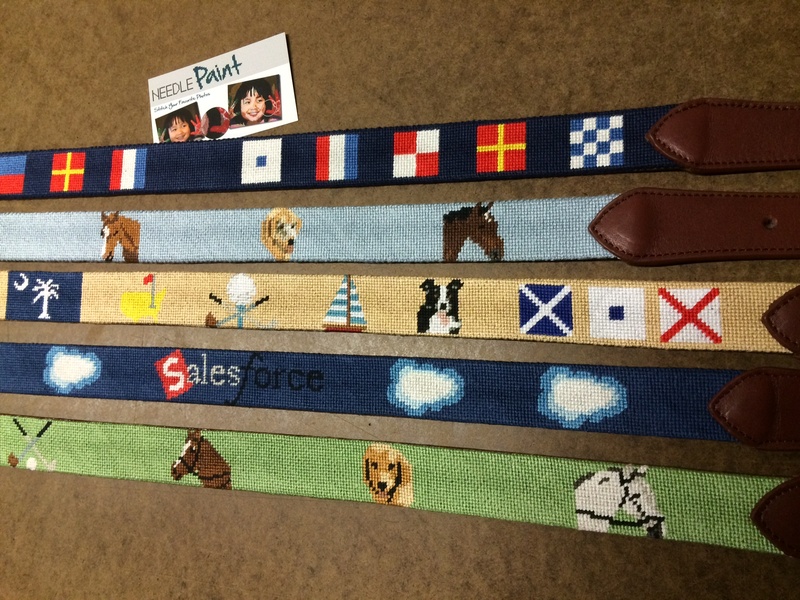 The winner of the NeedlePaint Belt Design Contest will be receiving a free needlepoint belt of their choice (or design) from NeedlePaint.com! 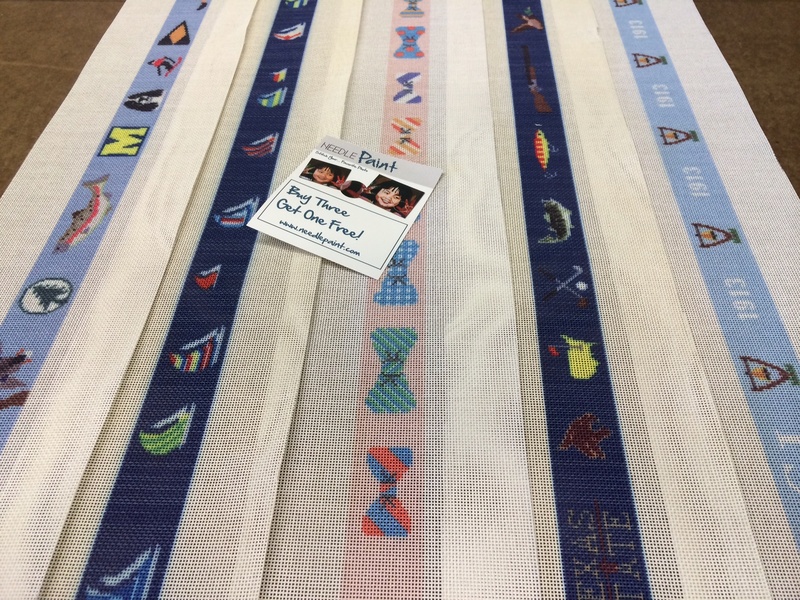 To get started, you’ll want to watch our video which shows how to design a needlepoint belt, stitch by stitch. To watch it, click the image below. 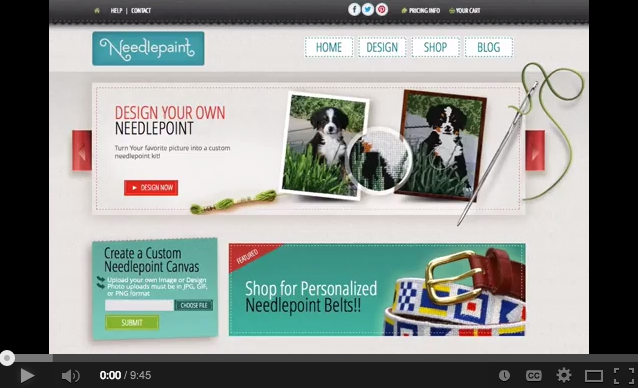 Once you’ve gotten your design done, you will want to save it in a better format for the contest. I suggest right clicking the image and saving it. 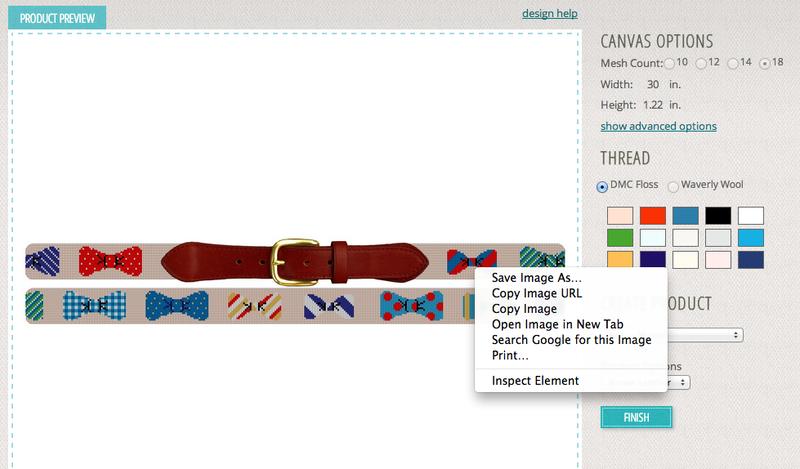 Right click on the image to save your belt design. 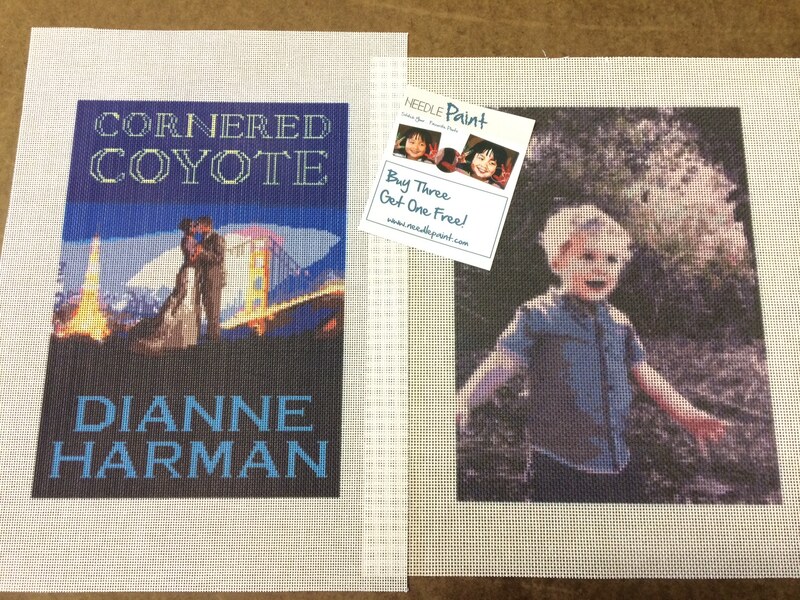 You will want to make the image square so the whole design is visible in the contest preview. This means opening up the file and changing the canvas size. Make your design a square for better viewing in the contest!